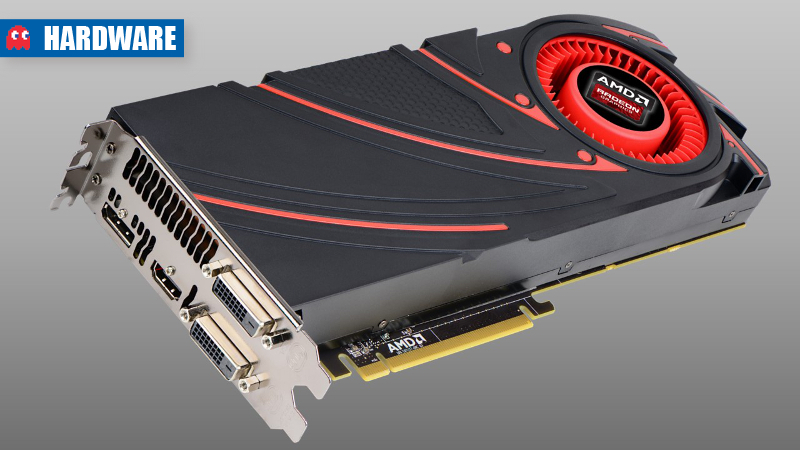 AMD recently launched another one of their graphics card rebrands in the Radeon R-200 series. The R9 270 is a cheaper version of the R9 270X and is designed to combat the Nvidia Geforce GTX660. On the surface the R9 270 is very similar to AMD’s other card launches. It too shares the same stock cooler design with a single blower fan and will also come with options for aftermarket cooler designs from AMD’s partners. 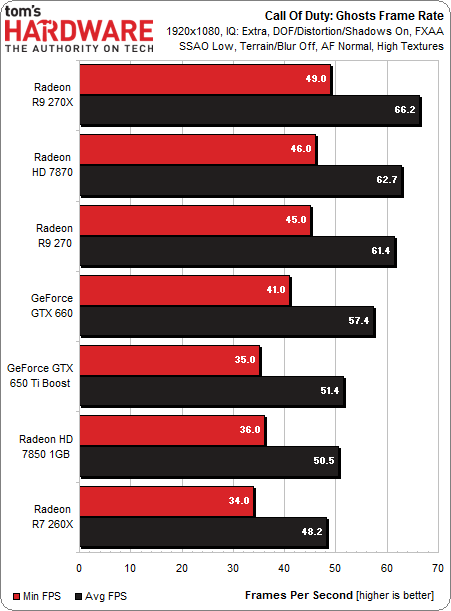 Architecture-wise, it’s nearly identical to the Radeon R9 270X or the OEM-only Radeon HD8860. It shares the same shader count, has the same amount of texture units and raster operators and even uses the same memory configuration – 2GB of GDDR5 memory running at 5600MHz on a 256-bit bus. 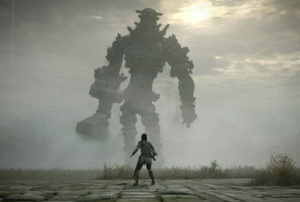 By the numbers, it’s pretty close to packing the power of a Playstation 4 into a single GPU. 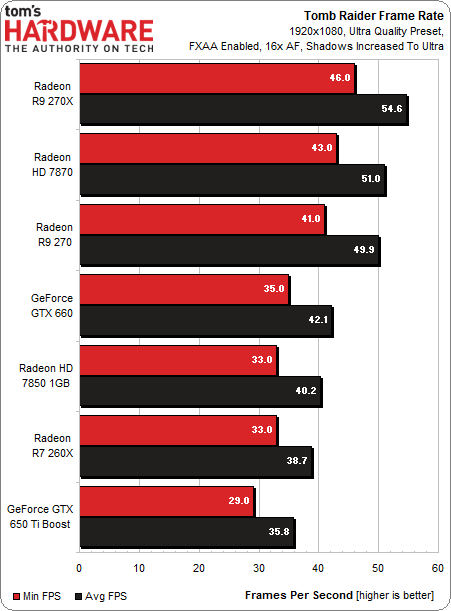 The biggest competitors for the Radeon R9 270 are its larger sibling, the R9 270X, and the two Geforce cards that are currently very popular budget options, the GTX660 and the GTX650 Ti Boost. Although there’s only $20 separating the Radeon cards, the R9 270 is both cheaper and more powerful than the GTX660 it aims to beat. But despite its pricing, there’s a chance that its proximity to the Radeon R9 270X would mean that most people wouldn’t buy the bigger card. There is some merit to this as both cards perform similarly and this is yet another case of AMD upstaging itself in an attempt to throw off any threats from the green team. However, there is a vital difference – the R9 270 only has a single six-pin PCI-Express PEG power connector, which means its overclocking capabilities are severely limited. In fact, the lack of a second 6-pin plug means that AMD can’t allow the card to boost to a higher clock speed using PowerTune. 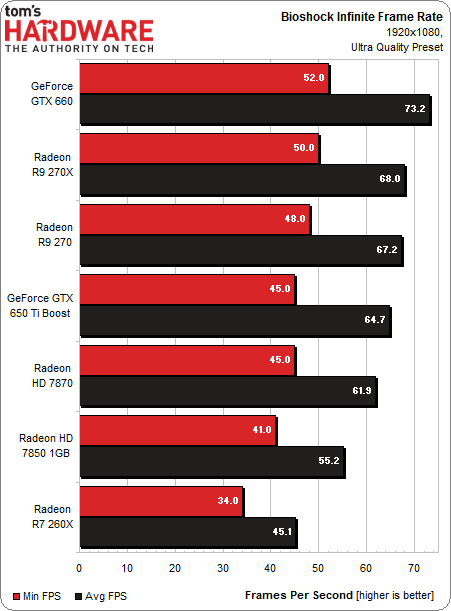 The R9 270 is already running very close to it’s maximum thermal design power (TDP). 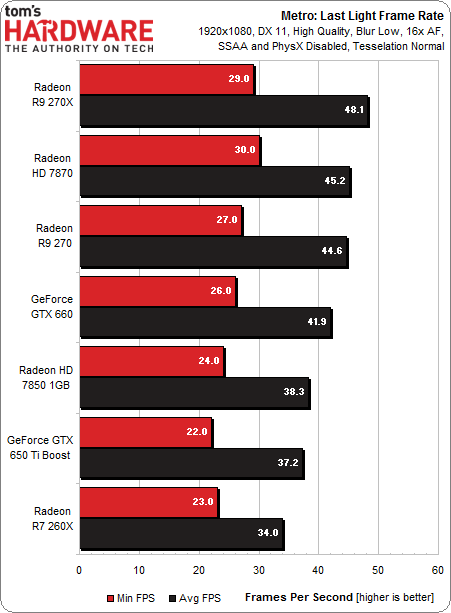 In terms of performance, it’ll mostly match the Radeon HD7870 and will be at the same performance level as an overclocked HD7850. Despite the apparent hardware advantage over the GTX660, there’s also the chance that Nvidia’s more efficient Kepler architecture and it’s developer relationships will mean that the Geforce card keeps up in most situations. The R9 270’s home ground is use in a small-form-factor (SFF) chassis, perhaps as the main GPU inside an ITX or mATX build that needs less cable clutter and more performance. The low 150W TDP allows it to be powered by a range of low-wattage PSUs and you’ll typically find it paired with PSUs rated for as low as 350W. Resolution-wise, it will be stuck to a single 1080p monitor. It is possible that it’ll do well on a larger-resolution 2560 x 1440 display (possibly even 4K at low settings) but those applications are way above the R9 270’s pay grade. Its designed to be a cheap card from the get-go. Tom’s Hardware called it “a solid value proposition” but did not give the card any notable awards. It did, however, highlight that the original HD7870 probably didn’t need that second six-pin power connector in the first place. 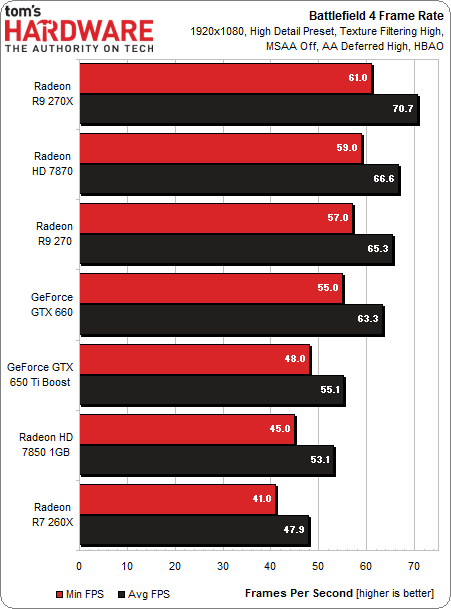 The Tech Report argued that the R9 270 was much better value for money if one managed to find it bundled with Battlefield 4, as the games bundled with the Geforce GTX660 cards (Assassin’s Creed: Black Flag and Splinter Cell: Blacklist) are mostly linear with little multiplayer appeal outside of a year. 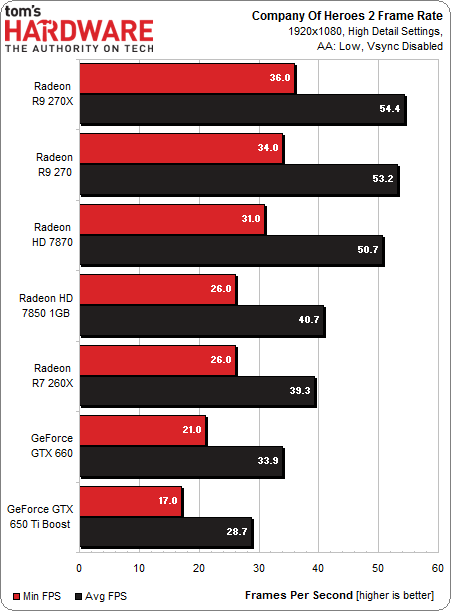 Anandtech liked the R9 270 but noticed that it spoiled sales chances for the R9 270X and could also be redundant as more people buy price-cut Radeon HD7870 cards. Hexus awarded the R9 270 with their Approved Award, calling it “the cheapest entry point into solid 1080p performance.” The fact that it’s compatible with Mantle also gave them pause for thought as to how much the card would be able to eat into the GTX760’s territory. Guru3D praised the card’s quiet operation and low power consumption in addition to its attractive pricing. Again, they also noted that landing the card with Battlefield 4 included would be a better value deal. Dell reborn as a private corporation – now what?